One 180 turn plus another 180 turn means – we’re back where we started. A few months back, I said GimmeSomeTune would make a 180 turn by using Gracenote as its source of information (lyrics, song info, artwork). Although I really wanted this to happen, for all the reasons I mentioned in that previous blog post, it doesn’t seem like it will happen. I’ve contacted Gracenote numerous times and never heard back. Either they’re very, very busy or they just don’t care and don’t want my business. So be it. I’ll do what lots of other apps (including GimmeSomeTune) do – turn to websites that have the according information available. I’ve done it before, I’ll do it again – only better. 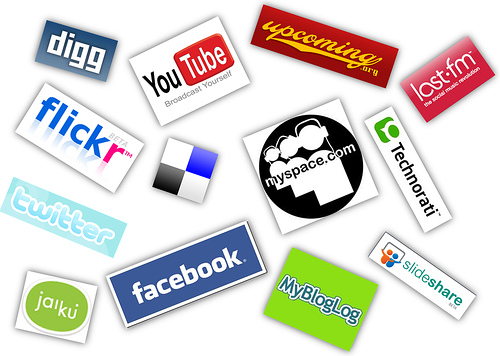 I’ll use several sources for lyrics and artwork, many of which you, the users, have suggested – thank you for that. I have several sources for lyrics and artwork, so if one service goes, there’ll be a backup service I can turn to. I really was looking forward to using Gracenote, because they do offer a great service. When it became clear that Gracenote couldn’t be bothered to at least write me a “buzz off” e-Mail, I looked into other options. I still have no clue what Gracenote is charging, but it can’t be more than what the others are. It is really hard for an indie developer to use these services and not go hungry while doing so. Who knows, maybe I’ll get an e-Mail from Gracenote some time this lifetime, then I may reconsider. So what’s the status of GimmeSomeTune right now? Well, I lost a little time due to my work on Records (which is currently exclusively available through the MacBuzzer bundle) which had to be done for the bundle, so there’s that. That being said, artwork, lyrics, last.fm and song recognition are all working right now, and beautifully, might I add. It’s almost magical. Now you might ask, great, so when’s the release, because what’s there left to do? Everything else. The interface, the popup window, keyboard shortcuts and testing, testing, testing (especially for song recognition, which is quite tricky). In the blog post I mentioned before, I promised you last.fm scrobbling for tracks you played on your iPod. Turns out it’s not that easy to do. I will try to implement it for the 1.0 release, but if it takes too long, I’ll move on to other things and get back to it when I’m working on a later update. Sooner or later, it’ll be in there. But I don’t think it’s that important for a 1.0 release to spend a lot of time on it if I want a timely release (which I, and I assume most of you, do). I hope you understand. 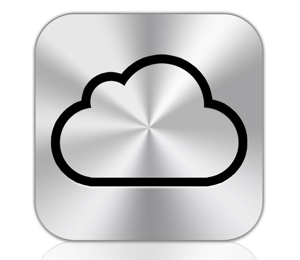 iCloud is a big deal for me, and, I believe, for lots of other developers out there as well. Syncing data has become a lot easier with this new service and the according APIs. I once took a glimpse at the MobileMe syncing APIs and my head still spins a little. What does it mean for flickery? I’m still thinking of the implications for flickery. I got some nice ideas from users of flickery on twitter and I’m already looking into what is possible and makes sense in terms of flickery. I could see flickery syncing the items yet to be uploaded or loocking into iCloud’s photo queue and offer an option to upload those items or at least present them in some way in flickery’s upload view. What does it mean for ScreenFloat? For ScreenFloat, In a nutshell, it will sync your shots between your devices (I don’t know if a iPhone/iPad version of ScreenFloat is useful, but I’m certainly entertaining the idea of having the shots on, say, your iPad, as well). It will sync which shots are currently open and floating, which are hidden, which are in your shots browser, it will sync your categories in your shots browser, and their contents. This is something I wanted to do from the beginning and I’ve been looking into services like DropBox to implement it. Now with iCloud (and yes, I realize it’s still a few months away) it’s even easier, faster, more reliable and more secure to implement. What does it mean for GimmeSomeTune? My good friend and honored developer colleague Christian Kienle wrote about the impact that iCloud may have on his applications on his blog. It’s an interesting read, especially if you’re interested in how you will benefit from iCloud in the near future.